Published in Minnesota Bride Magazine! Yay, my photos from John & Megan's beautiful Gibb's Farm wedding are published in the Fall/Winter edition of Minnesota Bride! This is always such a pretty magazine! 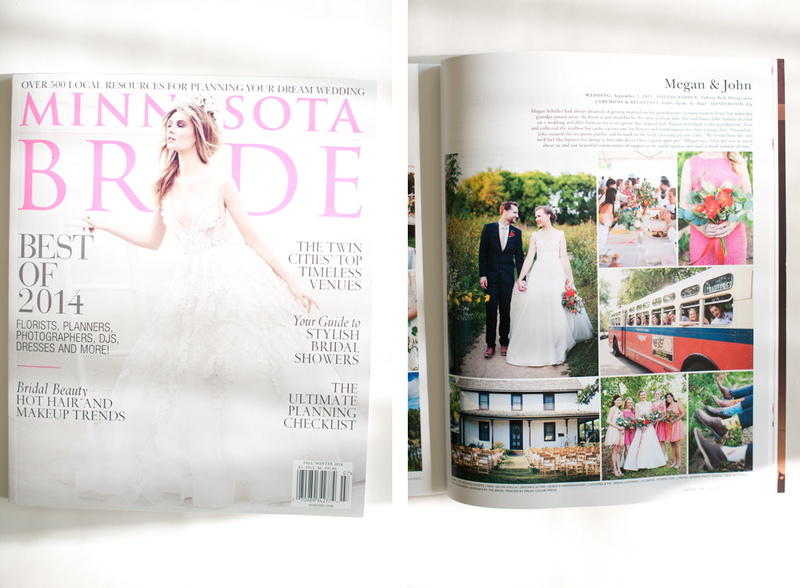 Yay, my photos from John & Megan’s beautiful Gibb’s Farm wedding are published in the Fall/Winter edition of Minnesota Bride! This is always such a pretty magazine! A Sneak Peek for Maria & Marcus! A Peek for Kristi & Ryan’s Elopement Reception!